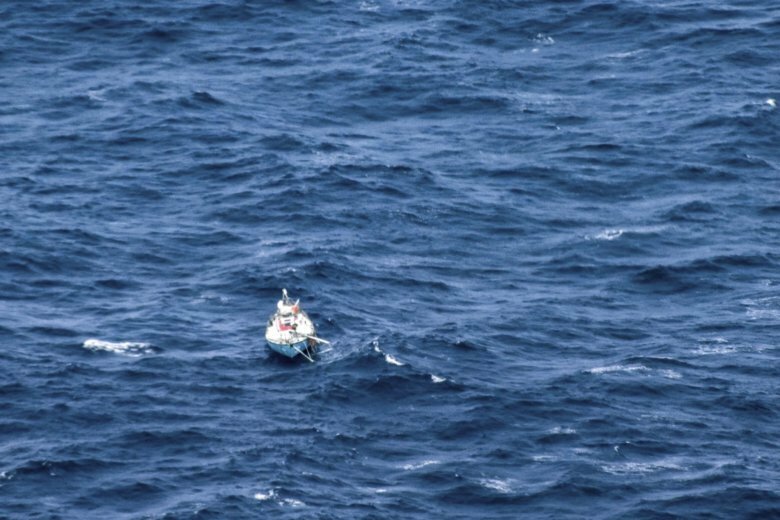 CANBERRA, Australia (AP) — An Indian and an Irish sailor rescued from damaged sailboats in the remote southern Indian Ocean set foot on land on Tuesday when they reached an island to undergo medical assessments, officials said. The French fisheries patrol boat Osiris rescued injured Indian Abhilash Tomy, 39, and Irishman Gregor McGuckin, 32, late Monday after their boats lost masts in a storm Friday while competing in the around-the-world Golden Globe Race. The Australian Maritime Safety Authority, which coordinated the rescues in the Australian search and rescue zone 3,500 kilometers (2,200 miles) southwest of the Australian city of Perth and 3,000 kilometers (1,875 miles) southeast of the French island of Reunion, said the sailors arrived at a French research station on remote Amsterdam Island on Tuesday. “They will be assessed by a medical team before any decisions are made,” the authority said in a statement. The station has a doctor and a small hospital where the conditions of both sailors will be assessed, said the authority’s response center manager, Alan Lloyd. Tomy had reported a back injury during the storm that had left him bedridden. She said an Indian navy frigate would take Tomy from Amsterdam Island to Mauritius for medical attention. Lloyd said an Australian navy frigate would reach Amsterdam Island on Friday with plans to take the two sailors to the Australian port of Fremantle. Whether Tomy goes to Mauritius or Fremantle will depend on his medical assessment at Amsterdam Island, Lloyd said. “At this stage, we would suggest his condition is stable, but obviously we await the final medical advice,” he said. An Indian Armed Forces P-8 Poseidon surveillance aircraft flying from Mauritius helped authorities assess the conditions of the sailboats. McGuckin lost both masts, but constructed a temporary jury-rig to get his sailboat to within a few kilometers (miles) of Tomy’s boat in a bid to offer help. McGuckin was rescued more than four hours after Tomy, an authority statement said. Indian navy spokesman Capt. D.K. Sharma said Monday that Tomy was in third place in the race that began in France on July 1 when he lost his mast.